India’s most iconic jewellery brand with a rich legacy of more than 150 years, TBZ-The Original, partners with Dharma Productions’ magnum opus movie – ‘Kalank’ as the‘Exclusive Jewellery Partner’.As an ode to the legacy and unforgettable timeless years, TBZ – The Original unveils “Collection K” researched through its design archives that date back to its inception in the year 1864. Capturing the best from its libraries and in-house prowess in jewellery, this collection is truly a work of art and representation of the brand’s centuries-old expertise, adorned by the stellar cast of Alia Bhatt, Madhuri Dixit & Sonakshi Sinha throughout the period drama film. The extraordinary craftsmanship of TBZ– The Original Jewellery draped on the ensemble cast can be seen in the hugely anticipated movie of the year. 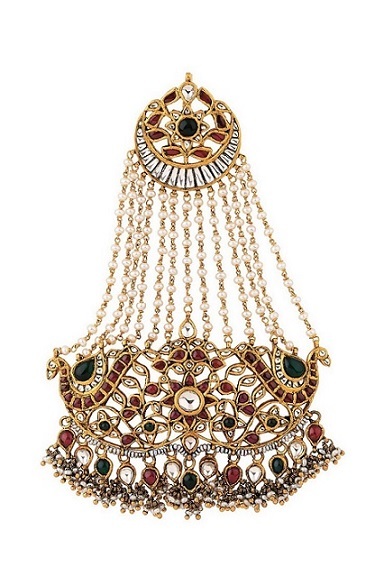 Don’t miss out on the very opulent 5-Lehra haar in a dazzling collection of rich kundan and pearl carvings, mesmerizing vintage choker sets with pearls & rubies, enchanting Haathphools, Naths & Passas which are now very much within your reach, both being surprisingly affordable & accessible at any TBZ-The Original store. Popular and in style, Collection K is sure to make you stand out at every occasion. To bring each masterpiece in Collection K to life, a team of 7 designers worked tirelessly for over 8 months and derived inspiration from the pre-independence era of the Nizams & Begums to meticulously design this marvelous range. As TBZ – The Original is synonymous with unparalleled perfection and finesse, 50 Karigars devoted their time to bring the inspiration to life. By uniquely infusing legacy with modern artistry, TBZ – The Original showcases the Collection K that oozes royalty and accentuates each look of the sterling cast. Pushing the boundaries of impeccable designing, TBZ – The Original revives India’s indigenous art forms like hand-engraved Navratna, ornate Chandbalis and Bikaneri Meena & Kundan with pearl carvings. Aesthetically mesmerizing, the range features Polki & Jadau necklaces, Bangles, Chokers, Studded gold necklaces, Mathapattis, Haathphools, Finger rings, Borlas and Armlets intricately carved with gold and gem stones. 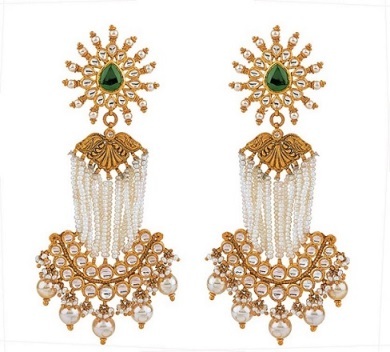 Commenting on the exciting development, Binaisha Zaveri, Whole-Time Director, TBZ – The Original said, “We are elated to be the exclusive jewellery partner for the movie Kalank. In keeping with the resplendence of the movie, we wanted to create an exquisite collection that looks flawless with the backdrop and exudes magnificence. We researched our design archives that date back to the year 1864 to craft & launch Collection K, that pays homage to our treasured Indian heritage by blending age-old art forms with cutting-edge designing of today, staying true to our brand and customers. Keeping exceptional artistry and unrivalled innovation at the pinnacle of the collection, we envision grandeur which is within reach through Collection K”, she added. All products are TBZ – The Original certified, carry the BIS Hallmark and come with a buyback guarantee. TBZ-The Original was the first in India to promote the concept of lightweight precious jewellery, offer lifetime buyback on gold and diamond jewellery, provide certified solitaire diamonds and introduce 100% BIS hallmarked 22 karat gold jewellery. Walk in for an amazing experience and stunning collections while celebrating design and craftsmanship!